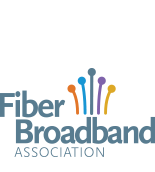 You’ve organized your friends and have brought together a broad range of stakeholders who are all interested in bringing FTTH networks to your community. Now what? Your next step is to find local leaders who are willing to be a strong and vocal leaders on the issue. Most local leaders understand the value that a reliable and accessible Internet connection can bring to a community. These leaders could even be interested in the idea, but that will not necessarily translate into action in communities where financial resources are constrained, technical knowledge is missing and leadership is in short supply. Nonetheless, there is an improving climate for local leadership to emerge and develop. Recruitment of individuals with the interest, energy and time needed to provide leadership. Recruitment can come from within local government institutions or from the broader community, including economic development officials, leaders of local library systems, school organizations and other community based institutions. Empower leaders by building relations and showing support. Connect them with your network of supporters and other elected officials who are interested in becoming champions. Educational and learning opportunities for leadership so they can acquire the knowledge and skills required for developing goals and proposals related to the digital divide. Much of this material already exists. For example, there are very useful resources on the National Telecommunications and Information Administration (NTIA)'s Community Connectivity Initiative website. However, an effective approach is to encourage participation in formal opportunities (participation in state-wide or regional workshops) while also supporting participation in networks that provide peer-to-peer support and technical advice. Building a mix of key individuals and local institutions is often the most effective form of leadership. By building a broad coalition of committed members will build momentum and help turn advocacy into action.